Why does one person pick one worship song while someone else picks another? 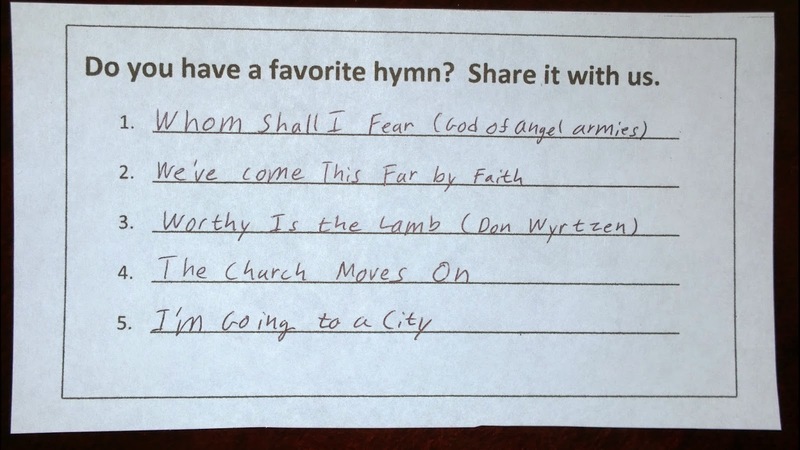 On Sunday, we were asked to turn in a list of our favorite hymns. 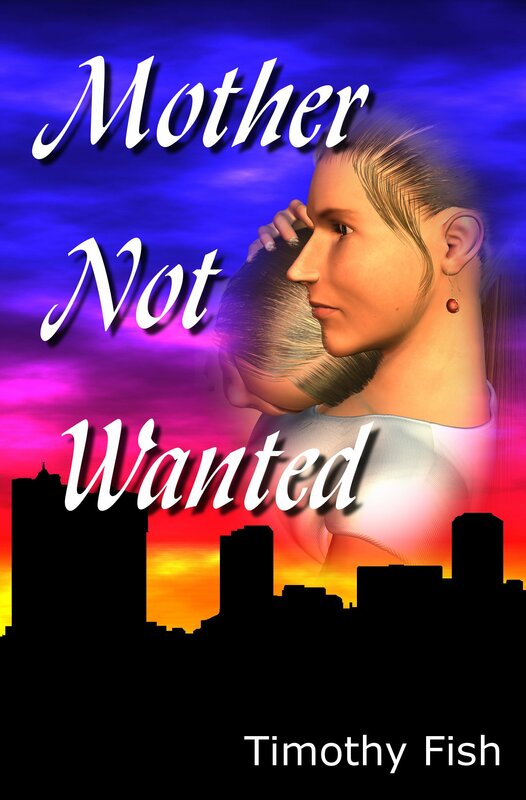 My list is likely to be very different from some of the other lists that are turned in. Why? The worship wars have been going on for a long time. Back in the 80’s and 90’s, I remember people debating the value of traditional hymns versus contemporary choruses. 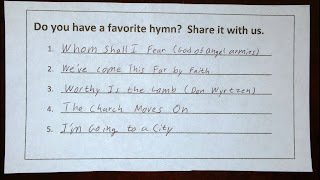 Today, people are still complaining about contemporary choruses, even though very few of the contemporary hymns sung in churches fall in the category of choruses. I look at some of the songs other people pick and they are often songs they learned when they were children. But I suspect that there is something more than that. It may be a song they remember their mother singing. It may be a song that was sung at a special event, such as their baptism, or the night they accepted Christ. It may be a song that reminds the person of the power of God to help through a difficult situation they are facing right now.